This 1000cc V-twin was THE super bike then. It was the ultimate ride. Its chassis was unlike anything ever produced then and till now the frame is still considered unique. 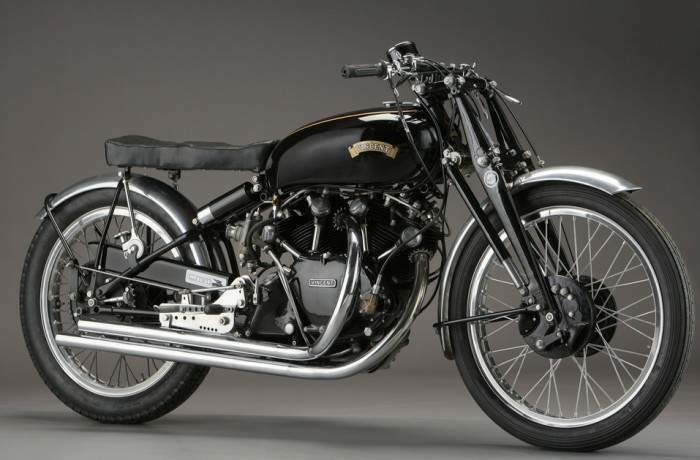 The Vincent Black Lightning was built between 1948 and 1952 when the last model rolled out of the Vincent factory in Stevenage, England. It was at that time the fastest production motorcycle in the world. Even a song about this bike was recorded by Richard Thompson. The song ‘1952 Vincent Black Lightning’ was later re-recorded by several others. Racing trims were supplied with magnesium alloy parts, special racing rims and tyres and others which made the Lightning lost weight to a mere 380 lbs.(170kg.) 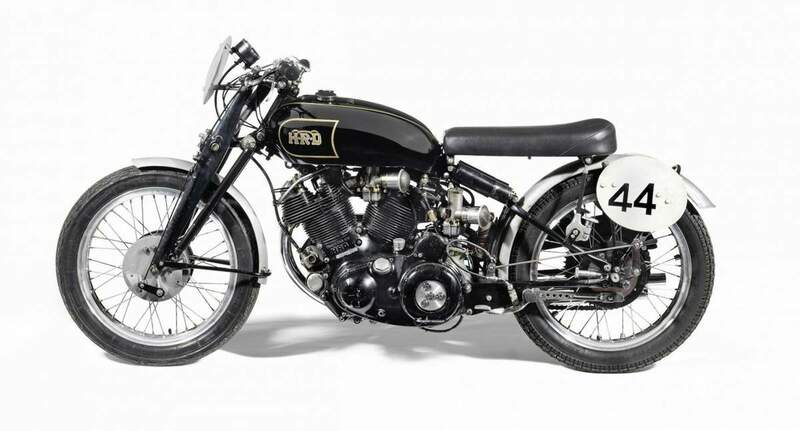 The 998cc V-twin, OHV, air cooled, pushrod engine was capable of 150 mph (240km/h) with only 70 bhp. A supercharged unit was specially built for a record attempt but never made it. That bike was subsequently sold for £221,500 (RM 1,121,750.00) in 2008. 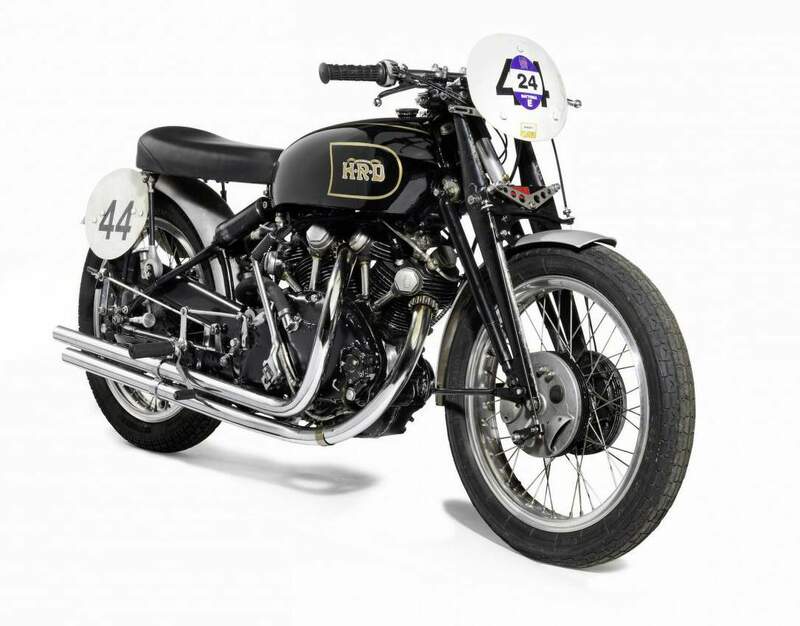 This set a record as the most expensive motorcycle ever sold at an auction in UK. The famous picture of a man stretched out in only a bathing suit on a Vincent is not in fact a Black Shadow but a Black Lightning. The Black Lightning was a custom order from the factory and was some 100 pounds lighter and 25 hp more powerful than the stock Black Shadow. In one of his books, Phil Irving (one of the designers) said that there were only about 16 of the model produced. 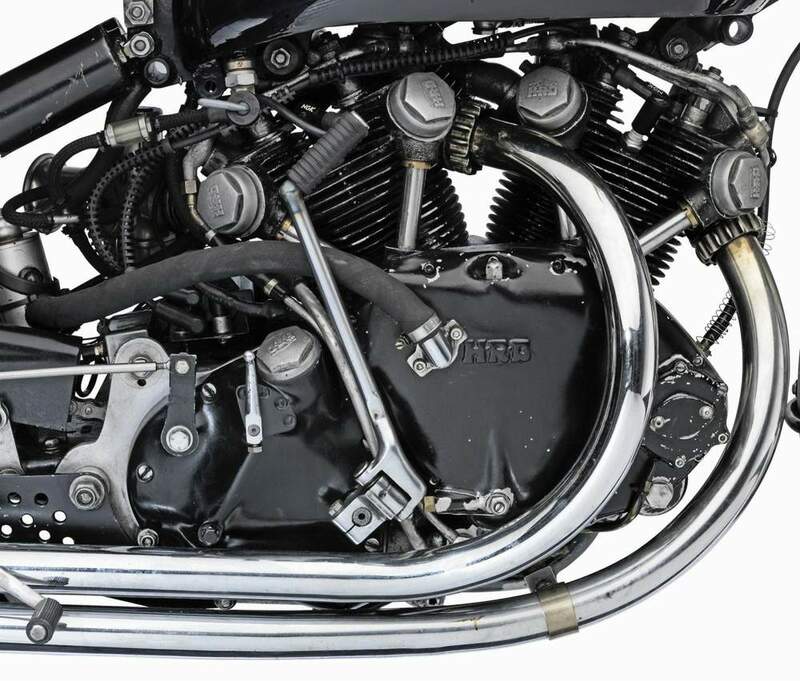 The Black Lightning is the fastest Vincent ever produced. 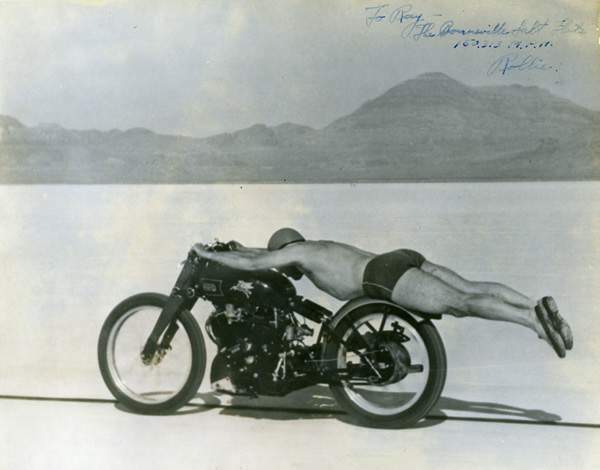 As for the famous "bathing suit bike" picture, it is of Rollie Free, an American, riding on the Bonneville Salt Flats on 13 September 1948. Free was determined to break the land speed record in the "Flying Mile." His first pass hit 148 mph (238 km/h), which broke the record, but Free was determined to break 150. Noticing that his riding leathers had started to come apart at the seams from the force of the wind, Free borrowed a bathing suit, cap, and a pair of tennis shoes and laid down on the bike. With the decreased drag, Free broke 150 mph, topping out at 150.313 mph (241.905 km/h), shattering his record of only a few moments before. That bike, also known as the "John Edgar Lightning" after its sponsor, is currently in the private collection of Herb Harris of Austin, Texas.